Books Over Balls, NFP – "Winning In The Game of Life"
Young men come from all over the city and suburbs to books over balls one of the most sought out programs for it’’s innovative recreational model of life skill/life coach mentoring that transforms any/every institution, hall, room, gymnasium, basketball court and place into a classroom setting, transforming lives, creating a new culture of urban young men through education, action and sports. We need your help, support, encouragement and the service of others. We’re always in need of donations, of any kind, volunteer support and getting the word out about what we do and who we are. Please contact us to volunteer and to offer any support that you make like. The Books Over Balls documentary was created by 24BelowZero. 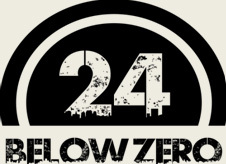 24BelowZero is a creative boutique that creates stories that break the ice. We are committed to giving back to the communities we serve by showcasing the life-changing impact these organizations are having on our youth. Our company has partnered with several non-profit organizations in the Chicago-land area that share our vision of creating the next generation of future leaders. We are proud to support the efforts of Books Over Balls.